I can't believe it's already the week of Thanksgiving! I have been hoping for a nice sunny day to photograph the Fall Dr.'s Remedy line, but I just had a bit of time this weekend, so I did single-finger shots. Fall 2011 will be fierce: leaves will change, for sure, and temps will follow suit. But the real news relates to the hues of this season. Indeed, we're revolutionarily-ready to welcome a crisper, cleaner, clearer collection of colors, kudos to Dr.'s REMEDY insight and excitement over autumn. 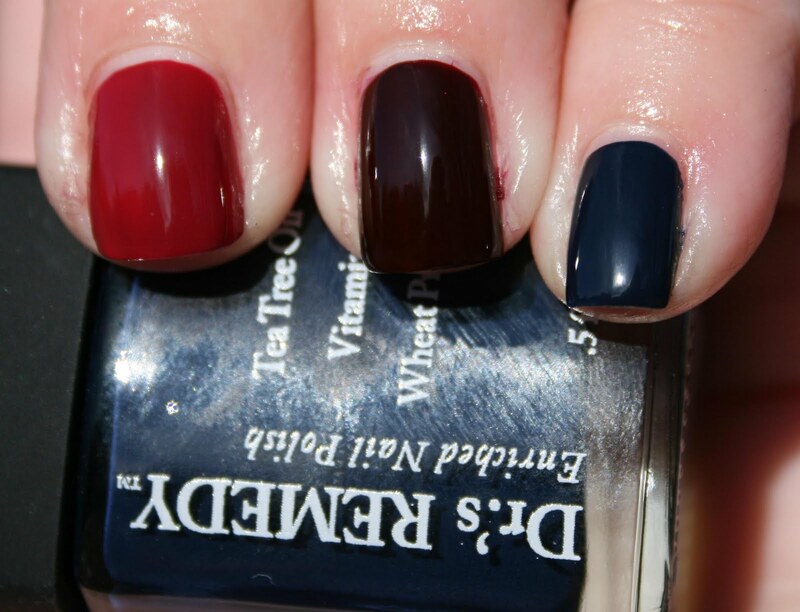 These hues celebrate the season that screams renewal: a rich bordeaux; a modern burgundy; a navy-meets-royal blue. We welcome you to invite your nails to dance in Dr.'s REMEDY FALL FEVER 2011. This swatch is two coats. 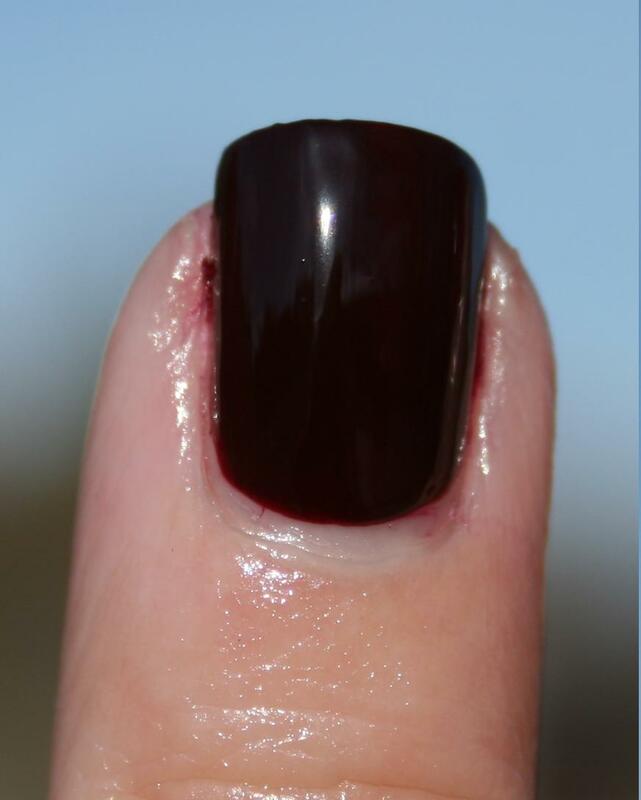 It covered really nicely, but since it was a bit thin, it had a tendency to pool around the cuticles. Since the shade is so dark, cleanup was a bit tough and you can see I had a bit of trouble getting a clean clean-up line. It's a great shade though and I'll definitely be doing a full mani, and taking my time and working to keep it out of the cuticle area. 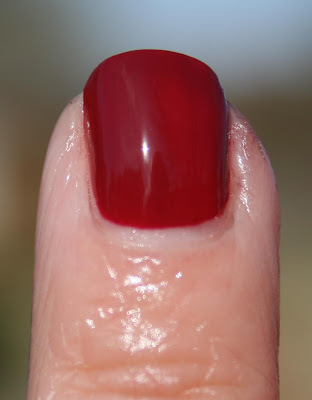 The above swatch is three coats, and I had a difficult time with this one. It was extremely thin, and it ran like crazy. Clean-up did not go well. It also did not seem to dry as matte as I expected it would. This shade was the best of the bunch- covered great in two coats, and was a bit thicker so I didn't have any migrating problems. 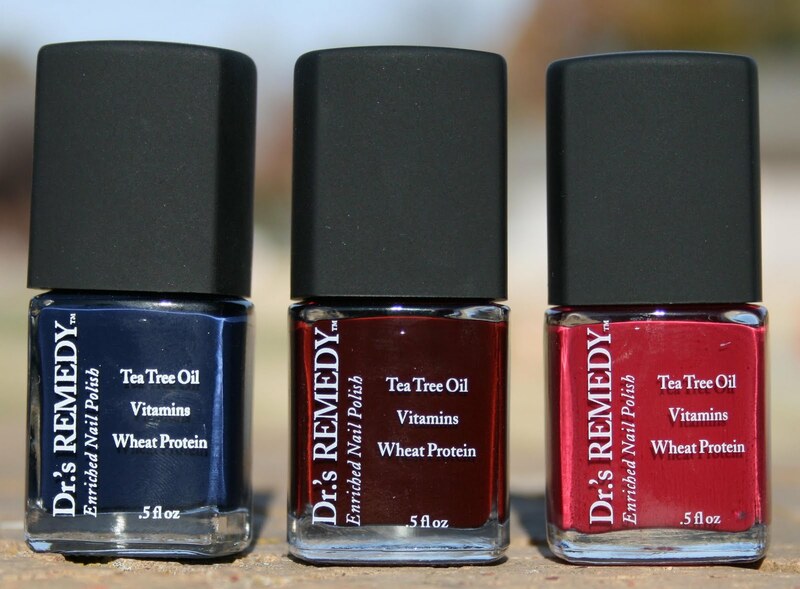 Dr.'s REMEDY is a line of doctor-inspired cosmetics that is dedicated to using clean, hypo-allergenic ingredients. The birth-child of two New York-based podiatrists, Dr. Adam Cirlincione and Dr. William Spielfogel, Dr.'s REMEDY proves quintessentially-perfect for any person looking to better the condition of her skin and nails; their Enriched Nail Polish is the first-ever nail polish on the market approved by the American Podiatric Medical Association. 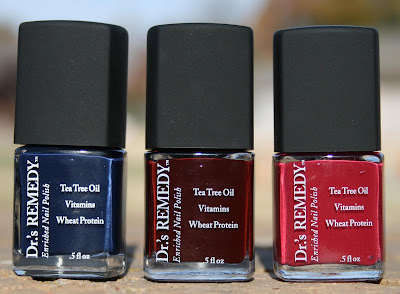 Dr.'s REMEDY is sold online at www.remedynails.com or by calling 1-877-323-NAIL. Dr's. Remedy is on Facebook (https://www.facebook.com/Remedynails) as well as Twitter (http://twitter.com/#!/remedynails). All very pretty shades, can't decide which one I like best.